How often one wonder as to why someone else is paying lesser EMI compared to them, don’t they? Even you must have heard someone saying that, right? Well, the answer lies in a CIBIL score, which is above a specified level, can give you preferential interest rates to lower your repayment burden. On the other side, a score below that can let the rates firm up. The CIBIL score for loan is 700 across banks & other financial institutions. What’s good though is that you can check CIBIL score online, giving you an idea in advance about the interest rates you could grab on your loans. Lenders such as State Bank of India (SBI), Bank of Baroda (BoB) and a few others do price loans based on the CIBIL score of an individual. Let’s just quickly go through all those CIBIL scores based preferential rate offers. SBI, arguably the largest lender in India’s credit space, offers car loans at interest rates of 8.90%-9.40% per annum. Well, this is a broader statement and you may not know the rates likely in your case. So, your CIBIL score would demystify the case for you. Those with a CIBIL score of 750 and above can grab the lowest of 8.90% interest rate on their 4-wheeler loan. Trickling down further, you can get a loan at 9.10% on having a score of 700-749. And, when the score falls below 700, the rate can go up to 9.40% per annum. BoB’s home loans are also priced on the basis of CIBIL score. So, if you achieved a score of 760 and above, a home loan rate of 8.40% would be applicable compared to 9.40% for those having a score below 760. Bank of India (BOI) has now decided to join the bandwagon by announcing to offer home loans of ₹30 lakhs and above at Marginal Cost of Lending Rate (MCLR) to those with a CIBIL score of 760 and more. Normally, interest rates are a spread above the MCLR. So all those having a score of 760 and above can get a home loan from BOI at its 1-year MCLR of 8.40% compared to 9.40% when the score falls to 759 and below. What is CIBIL Score and How Does it Impact You? It is a three-digit number that tells a lot about your repayment. The score falls in the range of 300-900 in India. 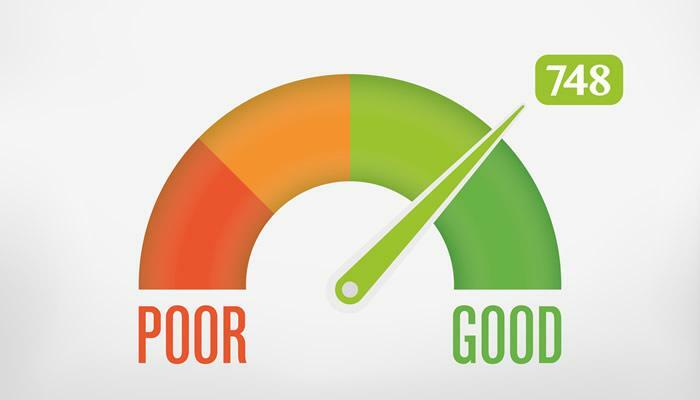 Anyone with more than 700 is almost certain to get an approval for the credit, at least on the grounds of a credit score. A score below 700 might find it hard to see the light of the day. What also influences is the repayment history that you can get to see on a credit report. You can check credit report online by giving a request for the same. So, you can see a complete detail of how you have serviced the debt. There could be a few suggestions shown in the report. You can incorporate those to bolster your credit history. Why Use a DPSP Plan? How Technology Has Contributed To Improve the Online Casino Industry? How to Sell more Properties using Real Estate CRM Software?